This is an outdoor version of my "Klompenboot Series". 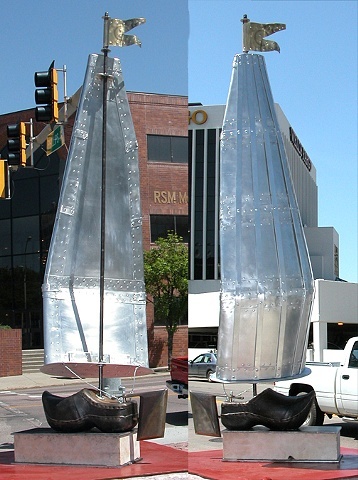 It's been shown in the Bemidji Sculpture Walk and Sioux Falls Sculpture Walk. Currently it's on display on the Thorpe Building grounds on Central Avenue in Northeast Minneapolis.